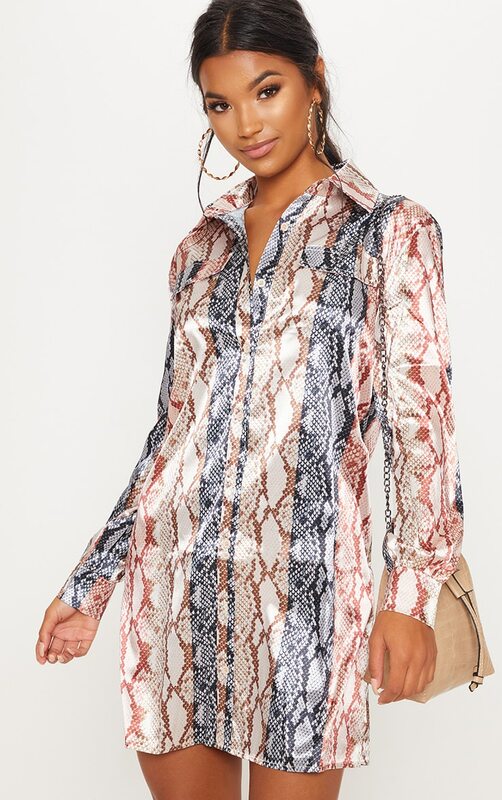 Girl we are obsessing over this shirt dress girl. 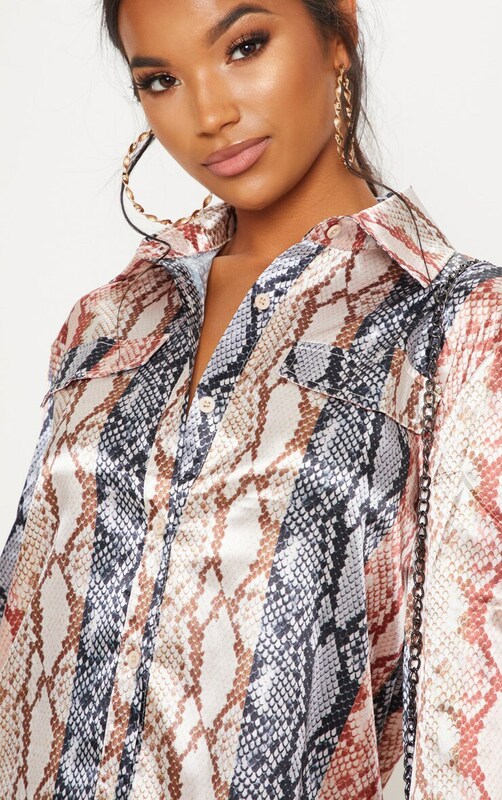 Featuring a satin material with a multicolored snake print stripe design and a button fastening. Team this dress with lace-up heels for a day to night look.